The award-winning bus company, launched its first Big Days Out campaign on July 21st. In partnership with regional attractions including Beamish Museum, the Life Science Centre in Newcastle and Durham’s Gala Theatre, families purchasing a family day ticket, are enjoying discounted travel and deals including reduced admission prices, kids eat free and free entry. 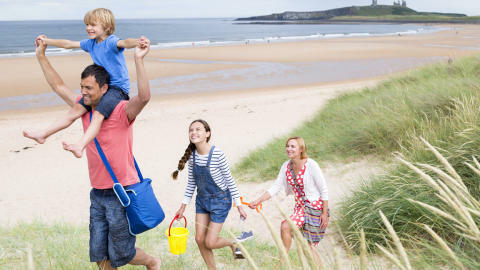 Running until the end of the summer holidays (4th September), the Go North East initiative has boosted family ticket sales by over a third, when compared to 2016. The bus operator’s dedicated Big Days Out website landing page has also enjoyed over 1,000 unique visits each day – with visits peaking on Fridays. 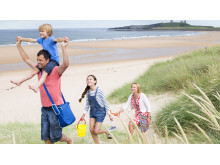 “We know it can be difficult to find things to do with the kids during the summer holidays, so we wanted to help,” explains Stephen King, head of commercial and retail at Go North East. A full list of the Big Days Out deals is available on Go North East’s website and includes a helpful journey planner, detailing the best services to hop on. For more information, visit www.gonortheast.co.uk. Week ending 5 August 2017 - 34.9% increase on the same week last year.